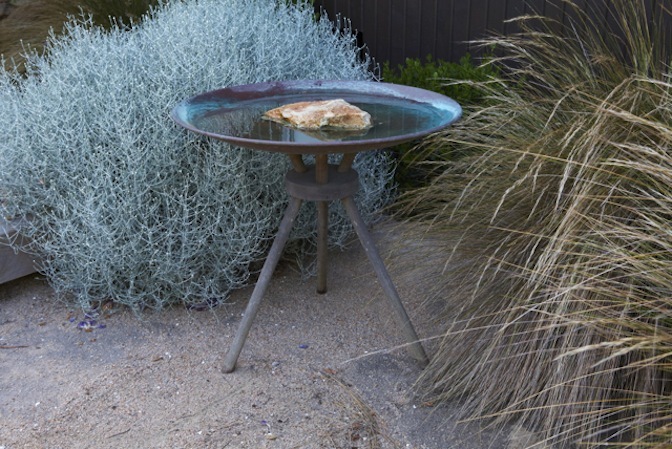 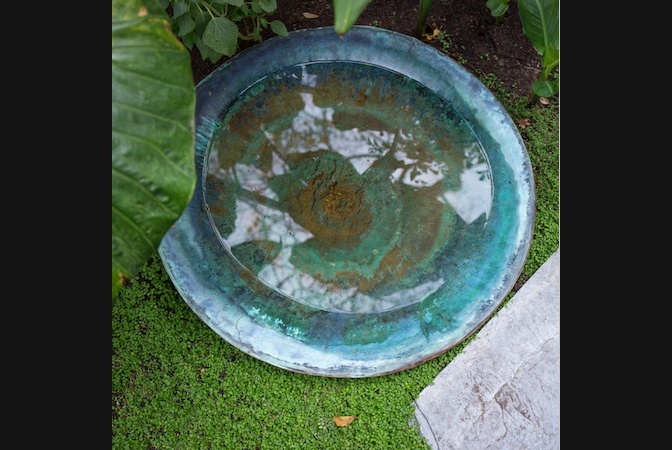 Designed by Sorrento based landscape designer Fiona Brockhoff, these birdbaths are spun from copper and aged naturally in the sea air to achieve a verdigris finish unique to each dish. 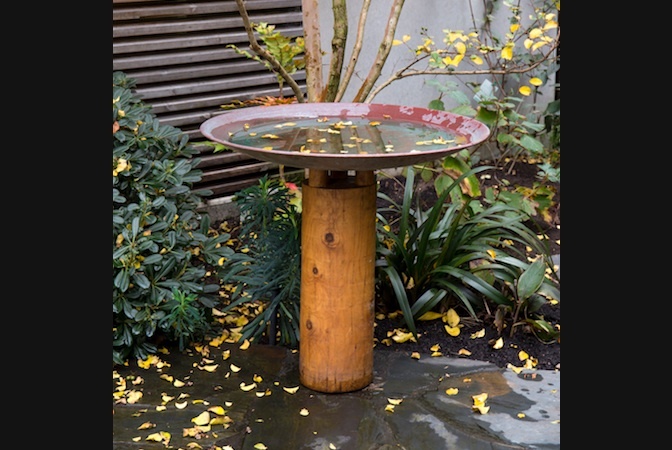 The timber pedestals and tripods used to support the birdbaths are turned from Australian hardwood, including Eucalyptus species or Cypress Pine. 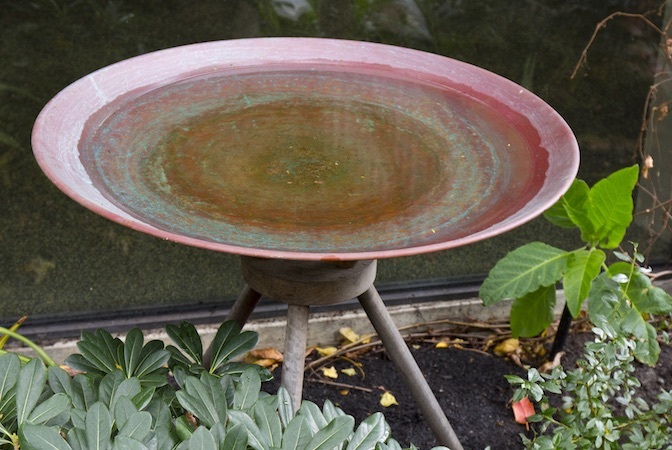 The birdbaths function equally well positioned on a pedestal or tripod, or placed on paving, lawn or amongst plants. 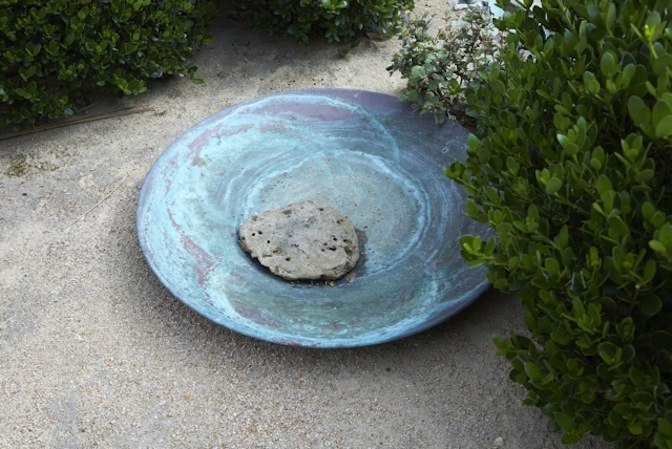 If using a pedestal, extra stability can be achieved by placing a large stone in the centre of the dish.